News and Updates in Downtown River, Rocky River, Ohio. Holiday Walk Recap and Winners! The Holiday season kick-off in Downtown River was a great success. A big thank you goes to the Mayor, the merchants, the shoppers and of course Mother Nature! 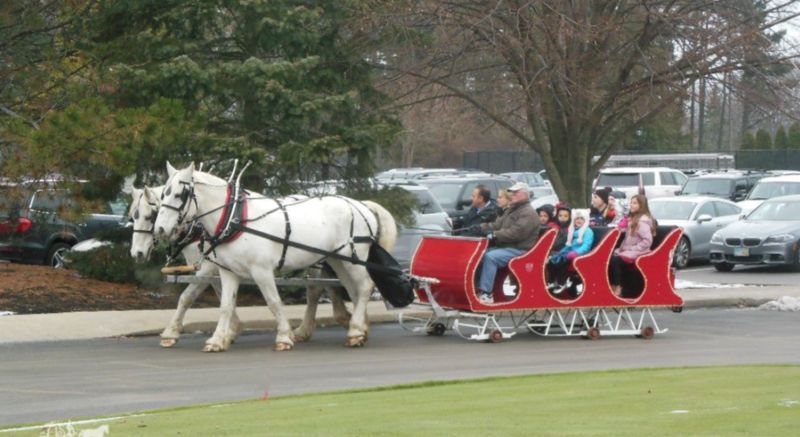 Take a Sleigh or Carriage Ride through Downtown Rocky River! J.D.S. Properties and the Merchants Of Old Detroit Shopping Area invite you to revel in the magic of the holidays with an excursion in a two-horse open sleigh or carriage ride.